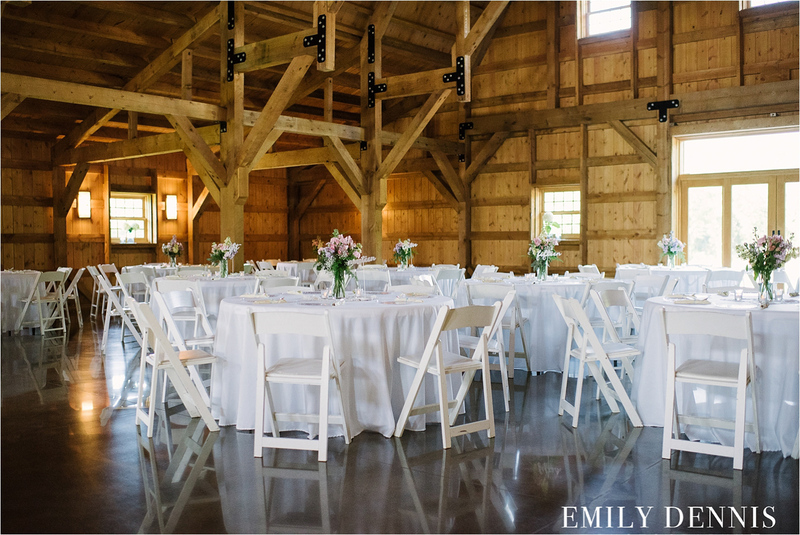 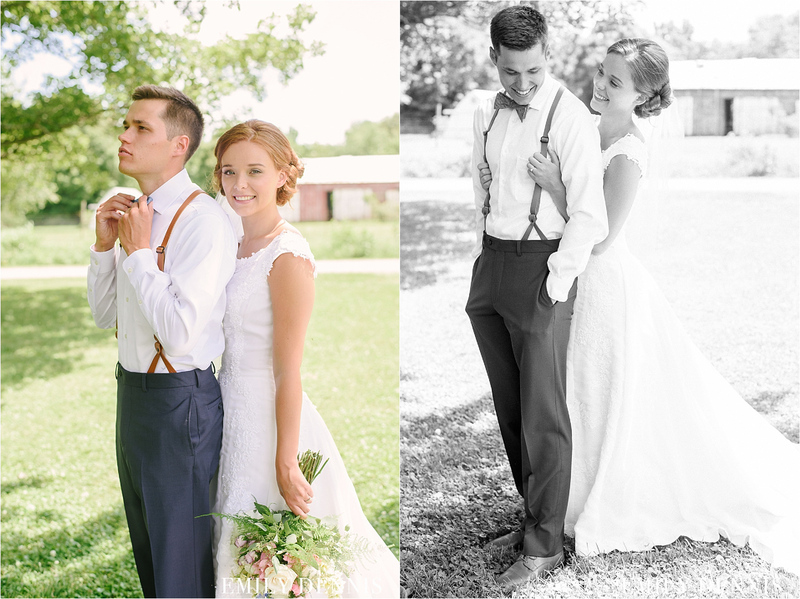 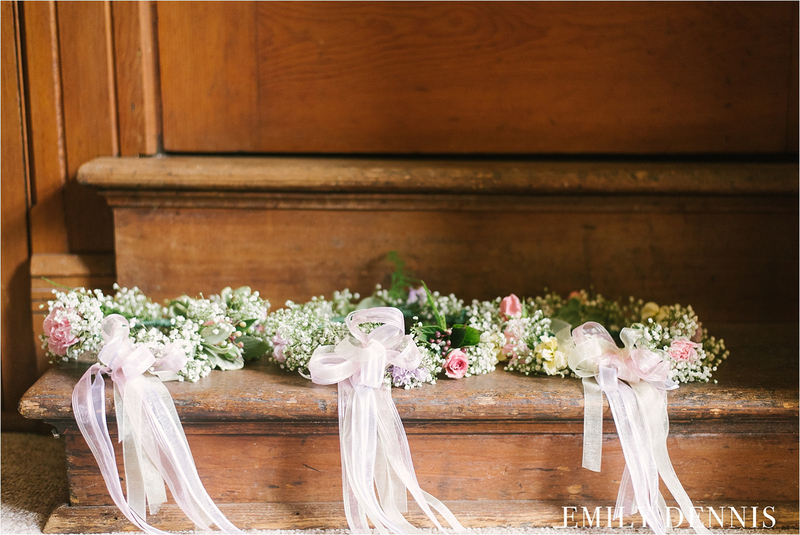 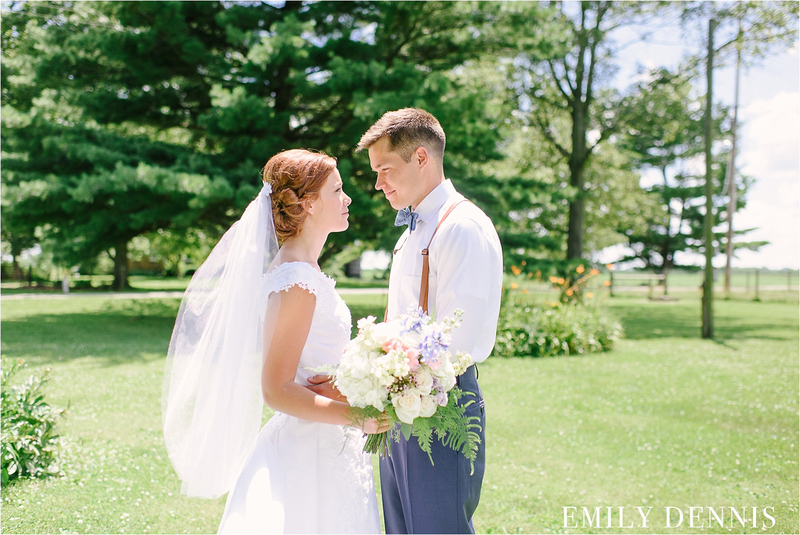 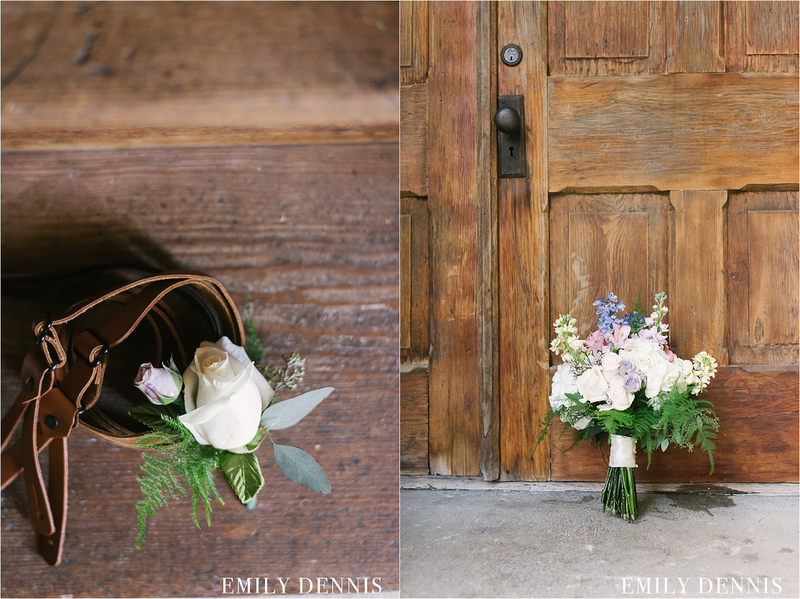 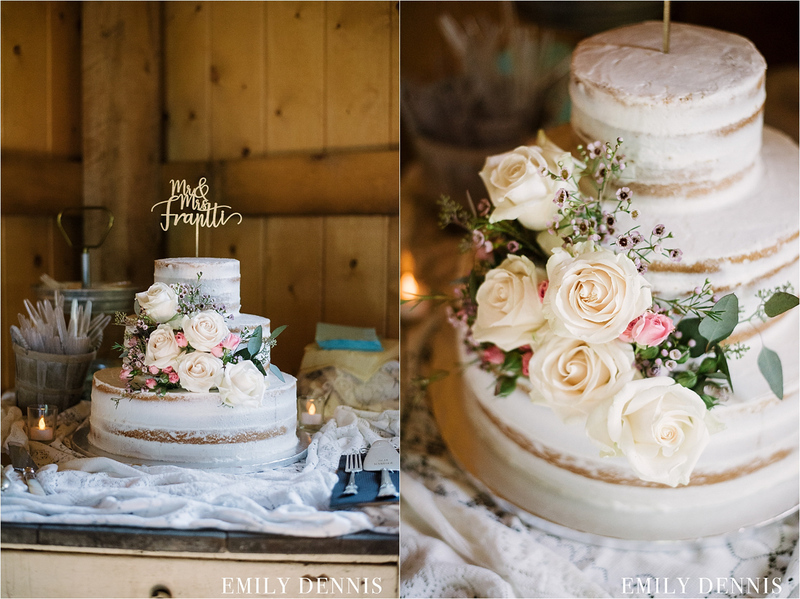 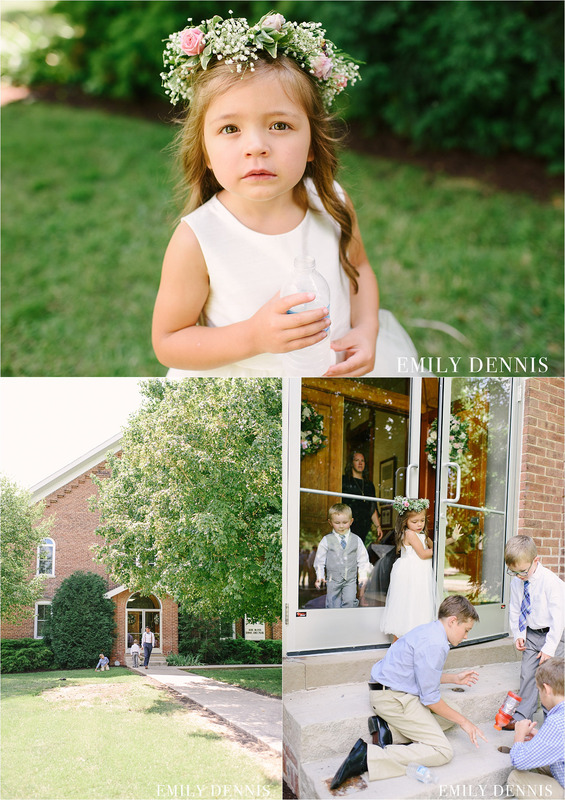 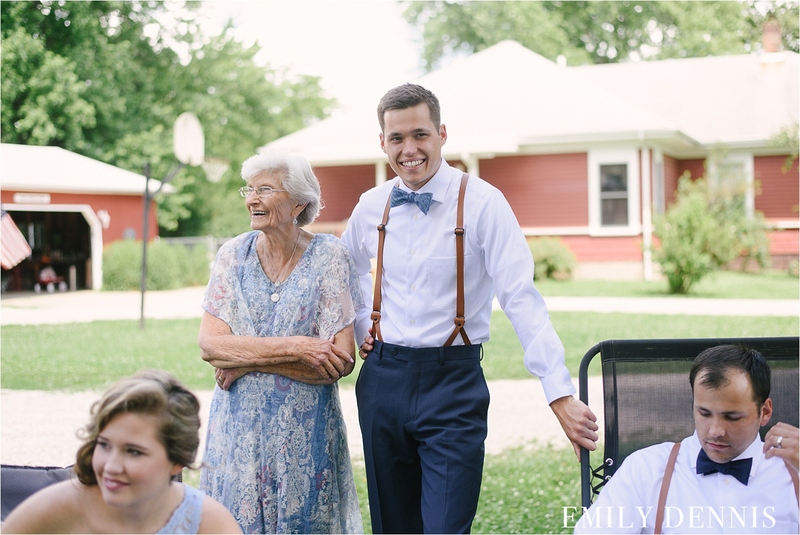 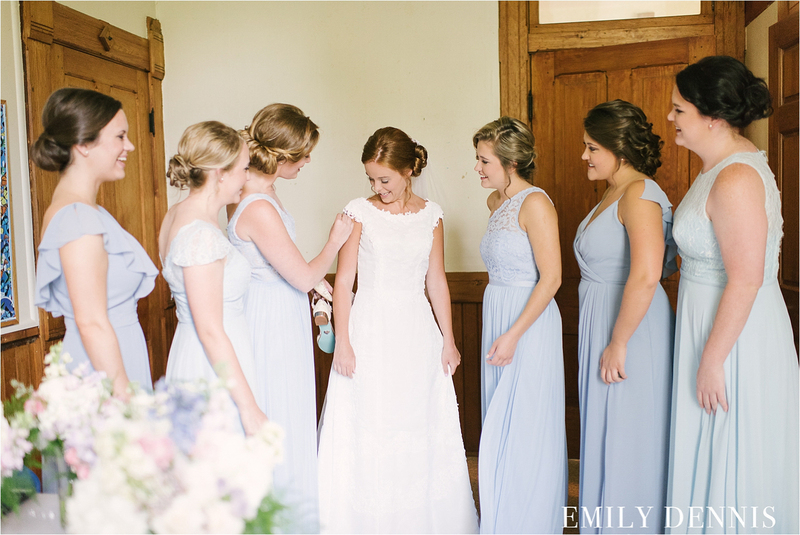 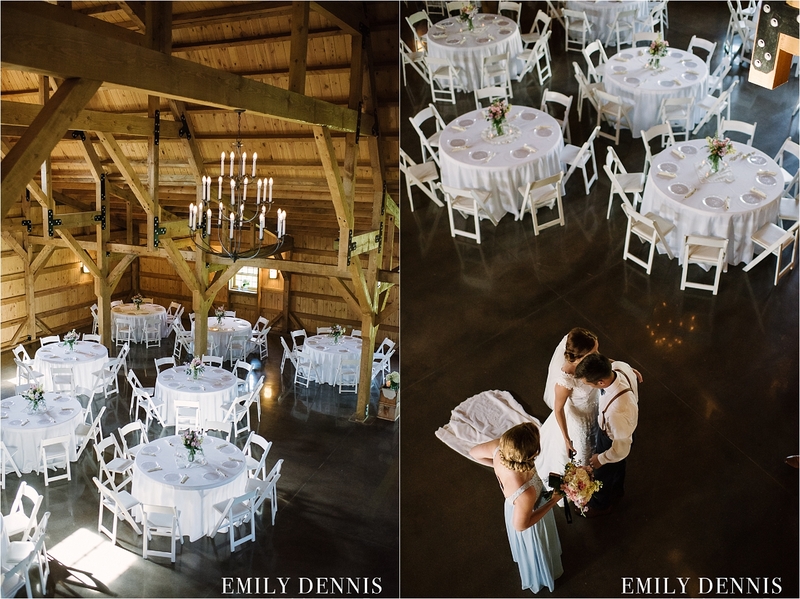 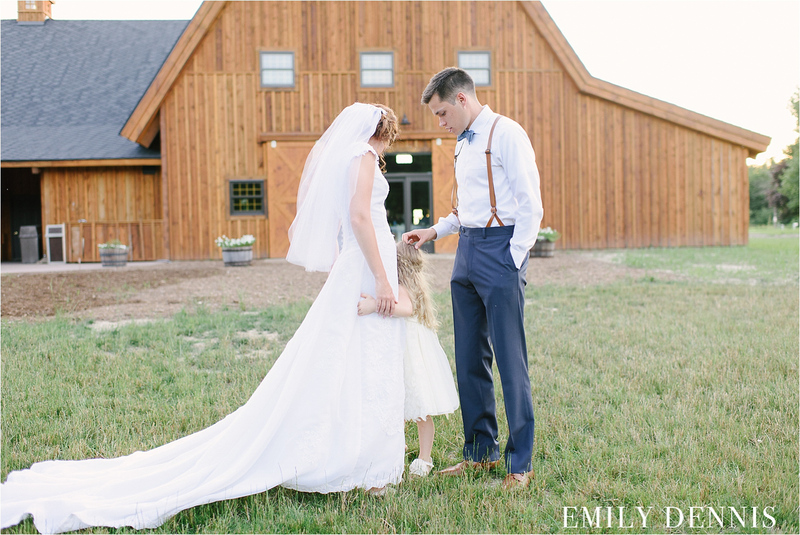 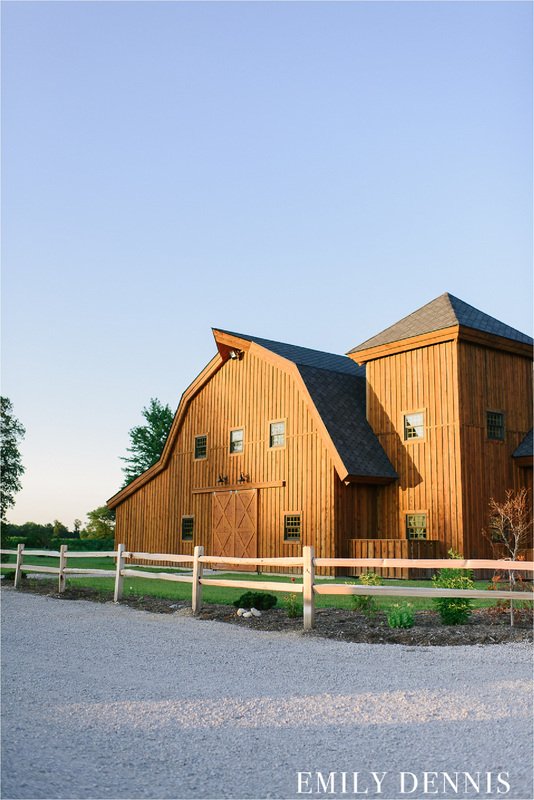 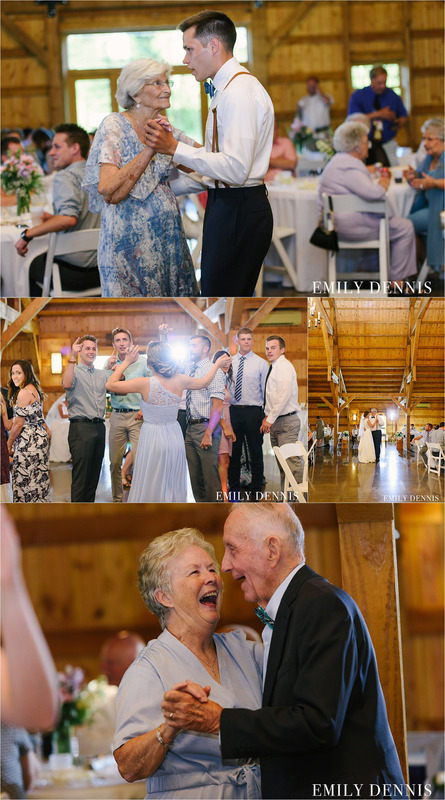 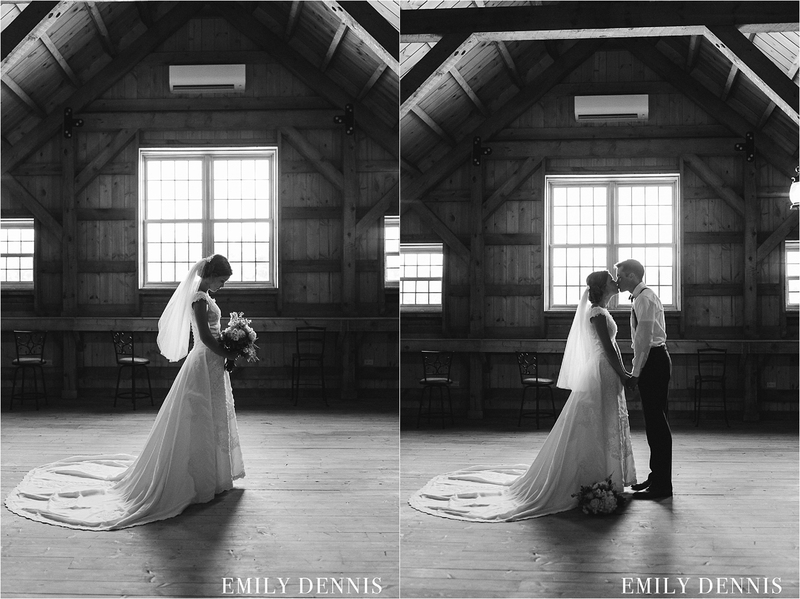 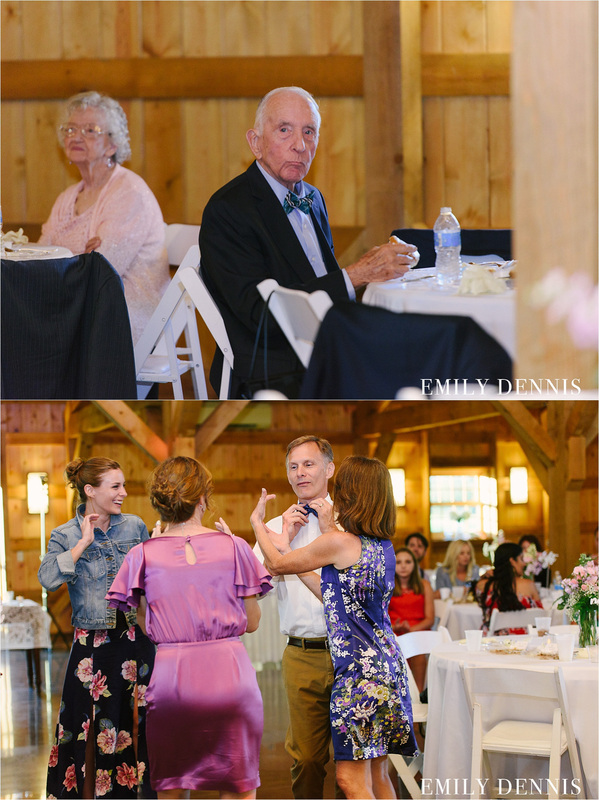 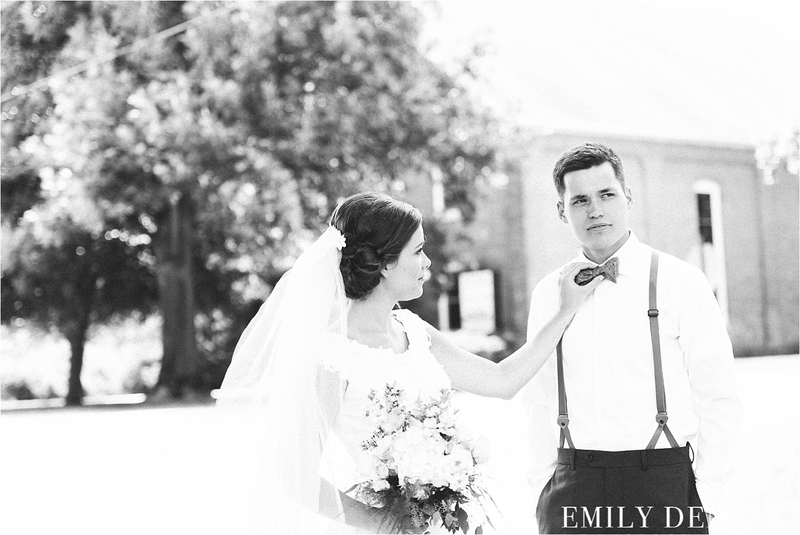 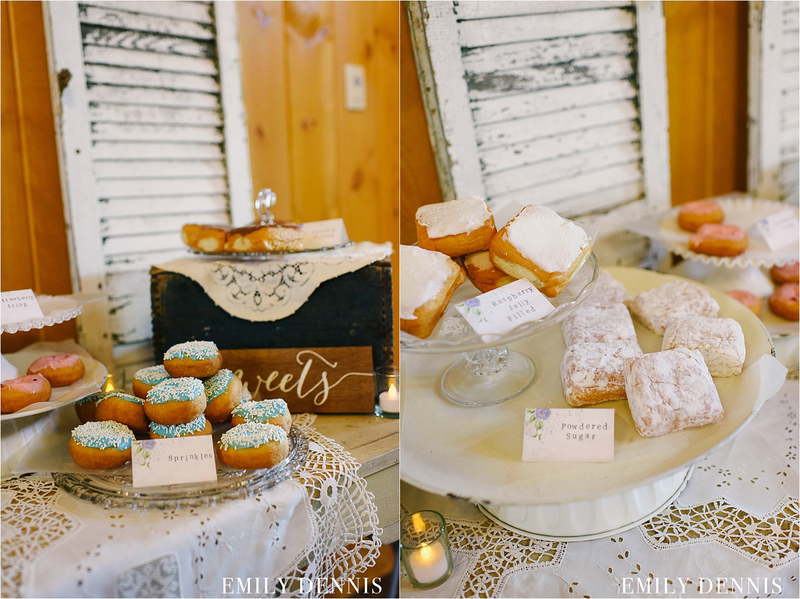 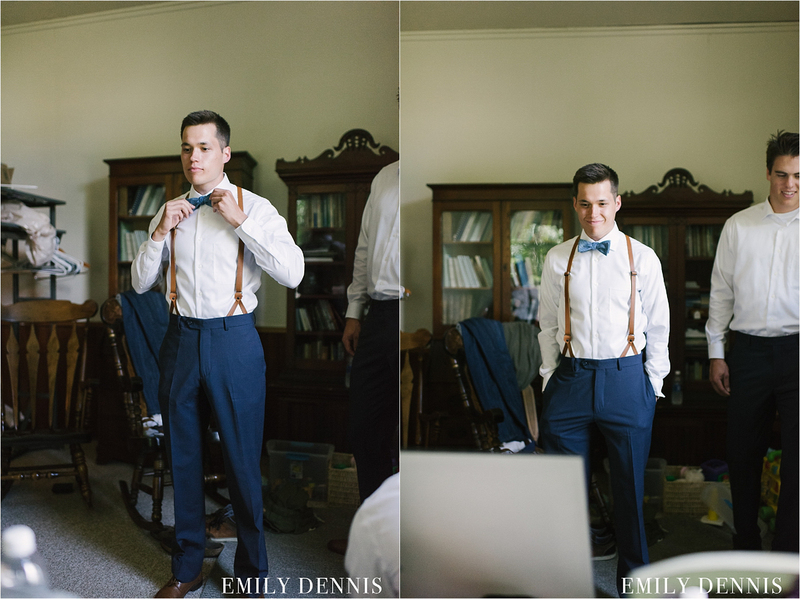 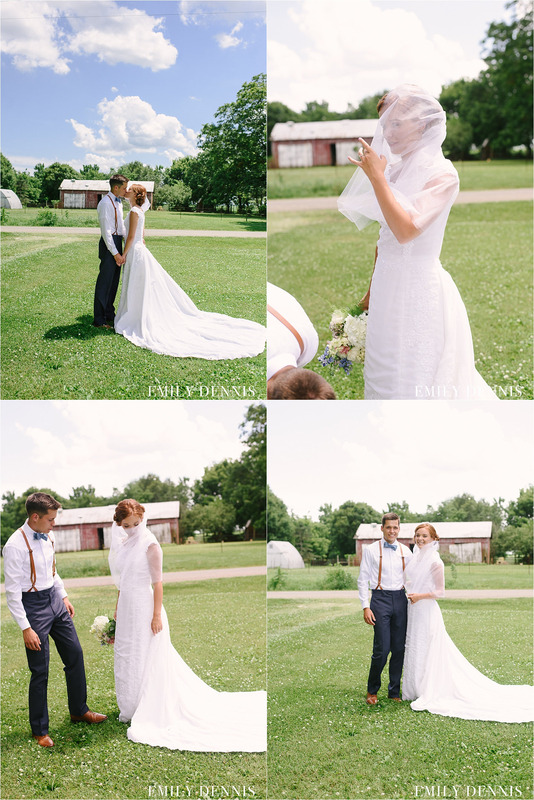 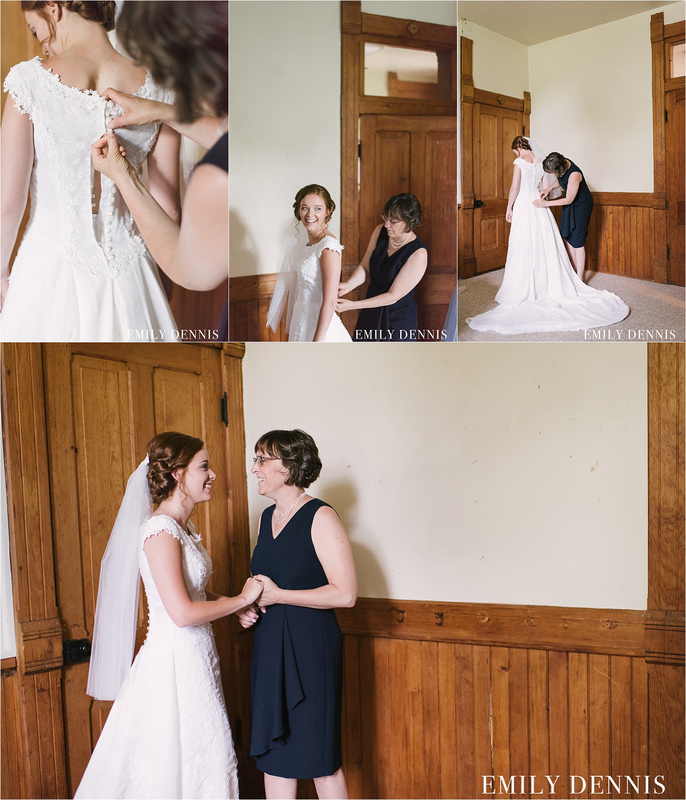 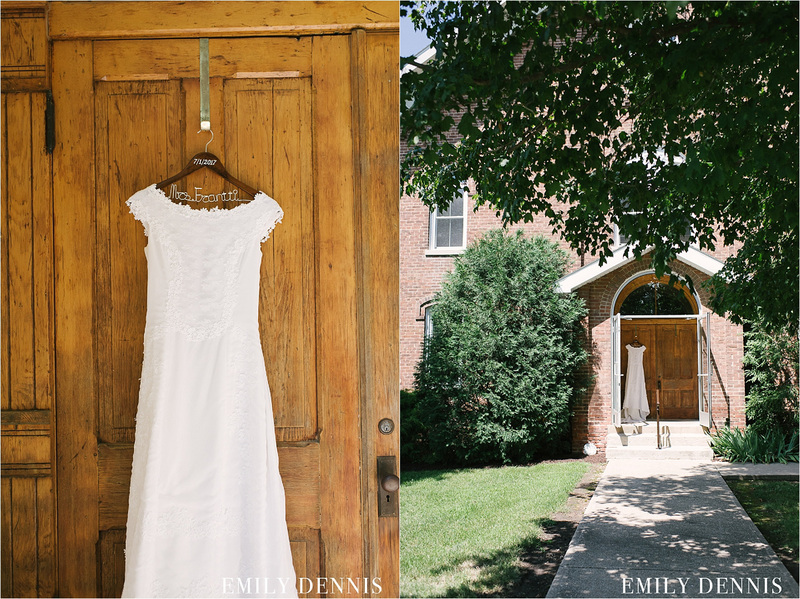 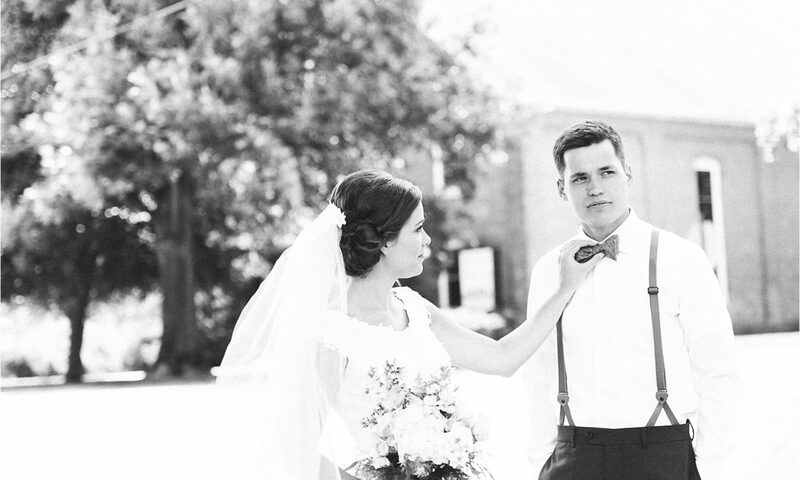 Paul and Emma had the most beautiful country wedding in a small town among cornfields in Illinois. 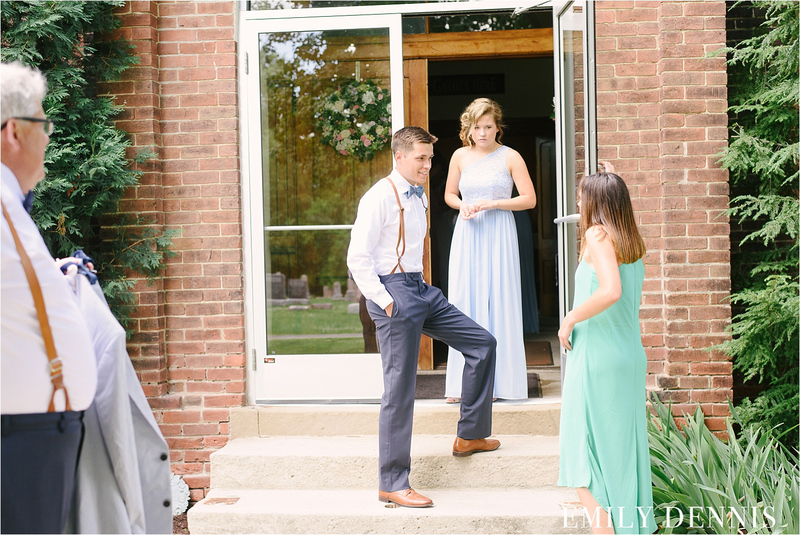 They chose the church that the family has attended for generations. 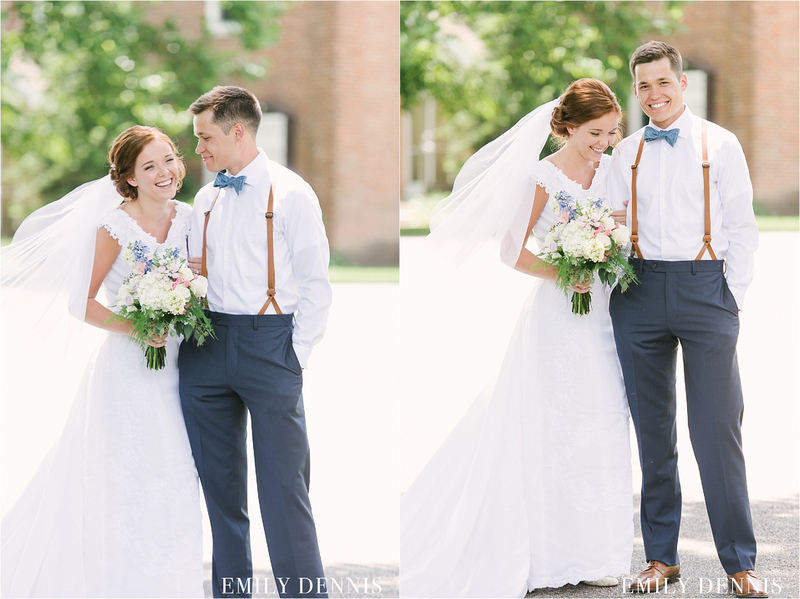 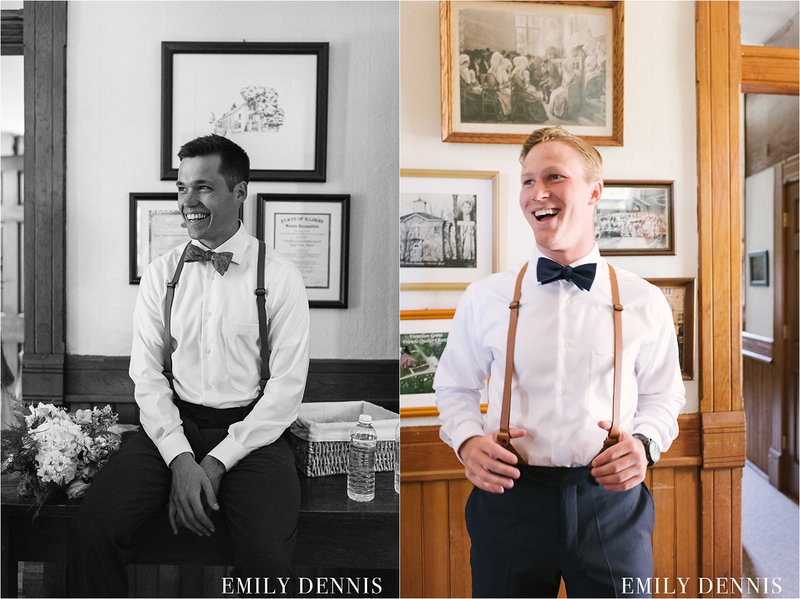 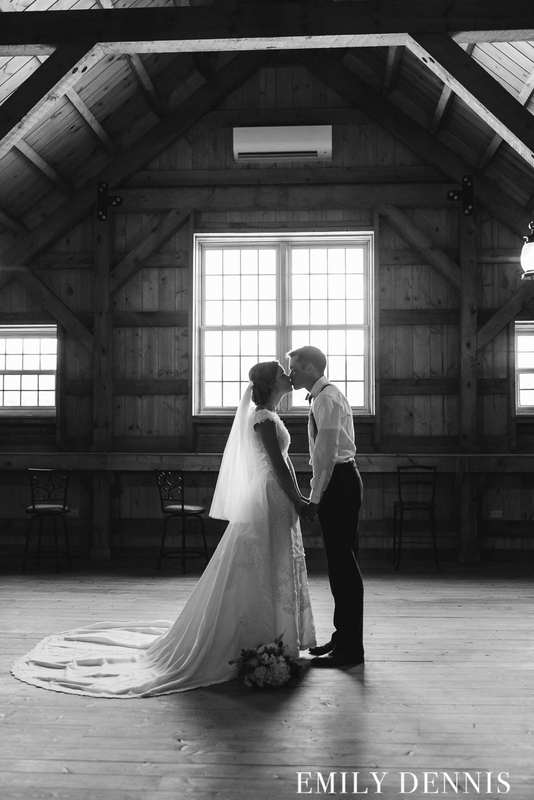 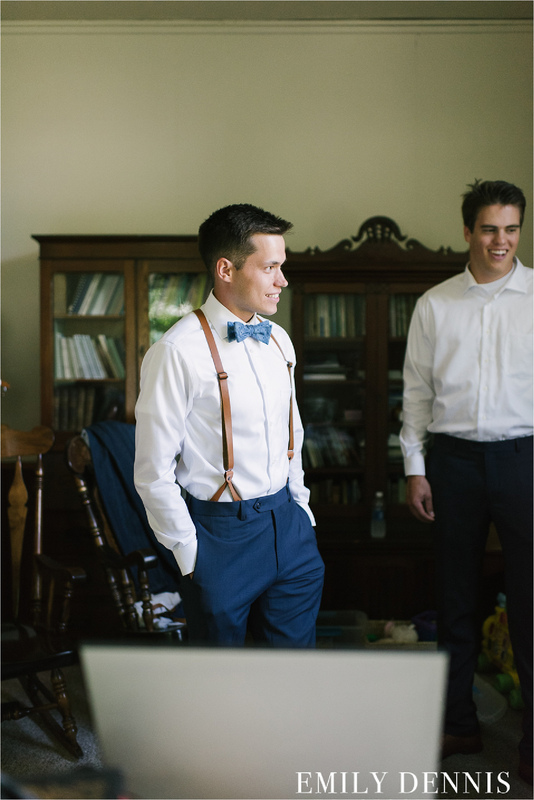 Paul and Emma chose a timeline that allowed them to see each other for majority of their day and provided for a more relaxed day. 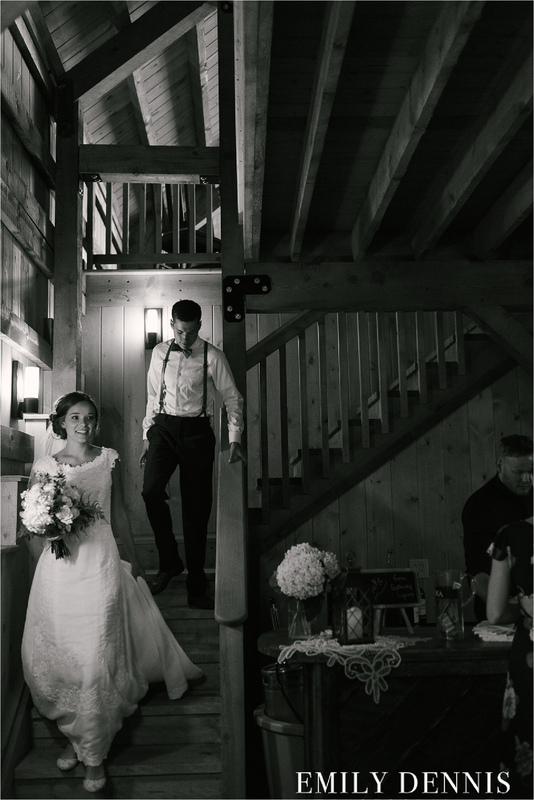 All photos were taken well before the wedding which meant they could go from a bubble exit straight to their reception. 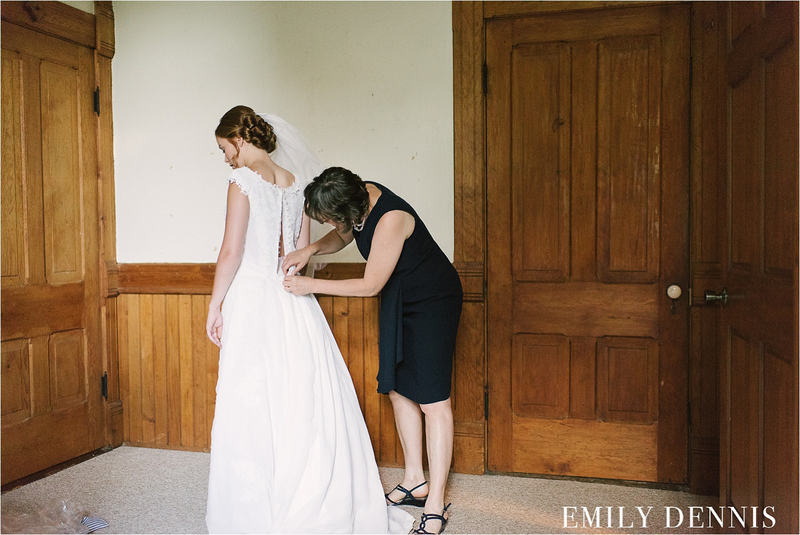 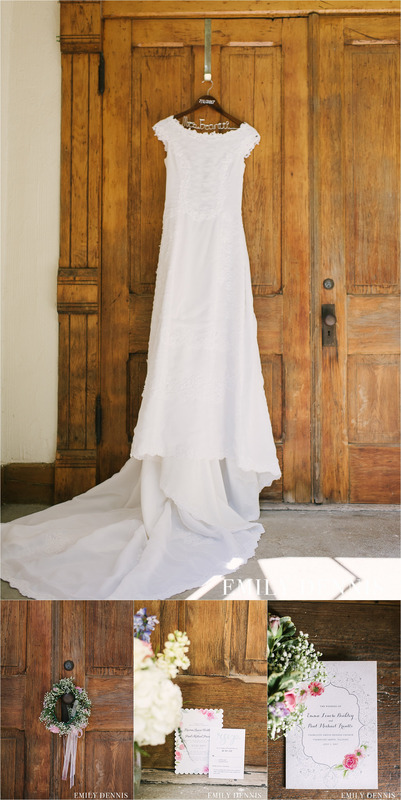 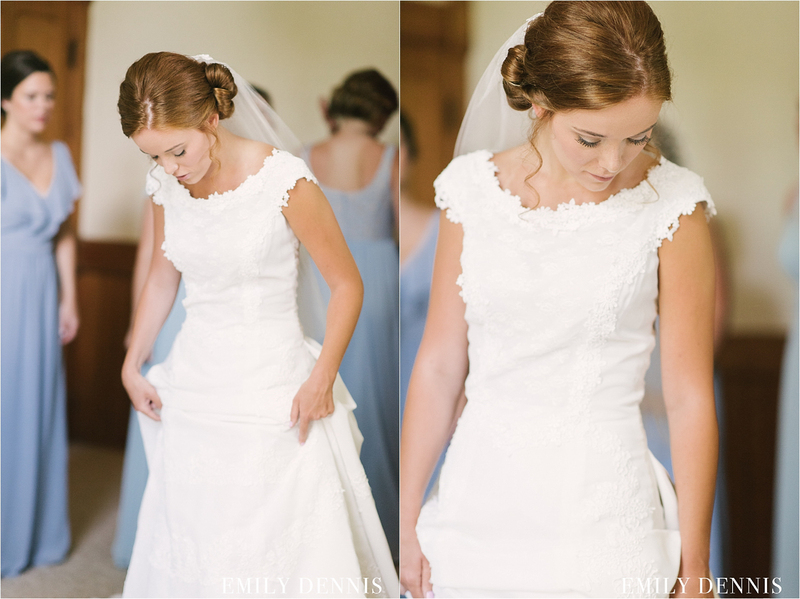 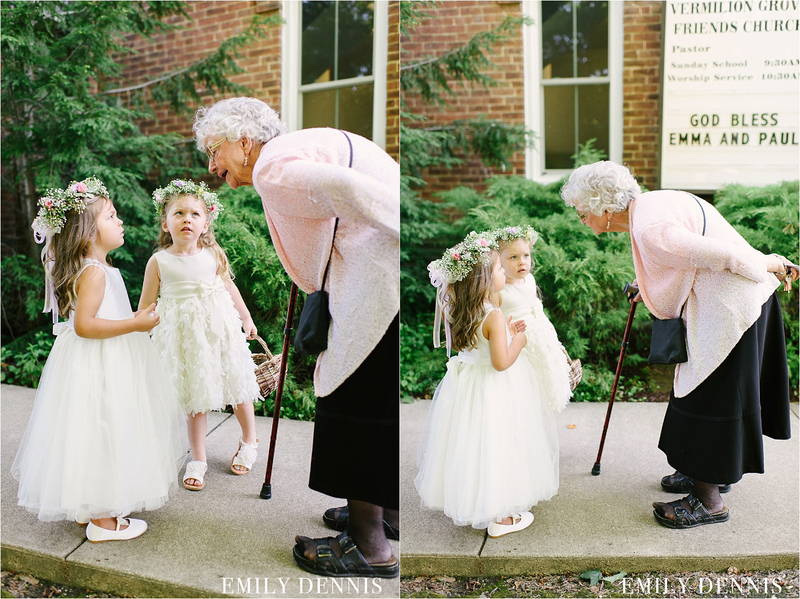 A vintage wedding dress worn by Emma’s mother, sewn by Emma’s grandmother. 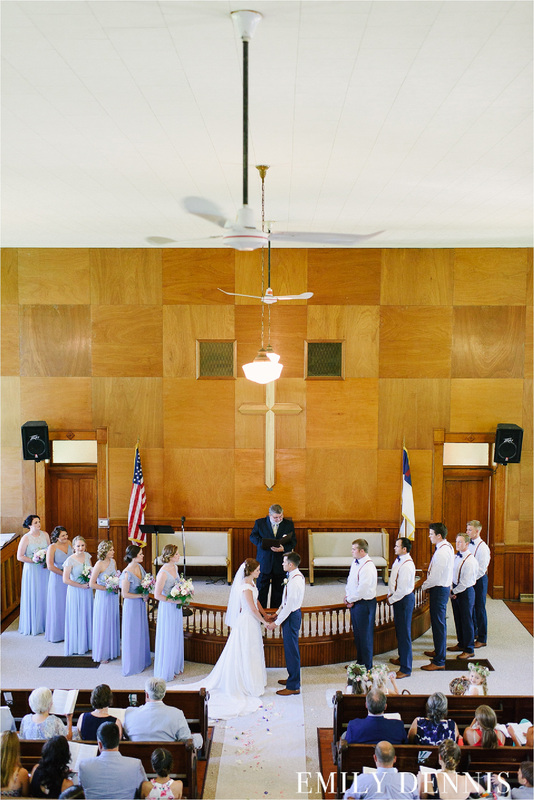 A simple yet beautiful church. 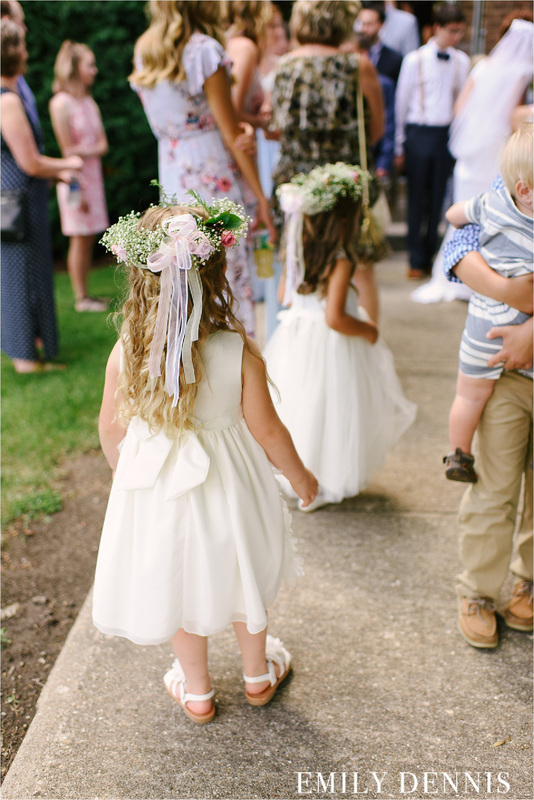 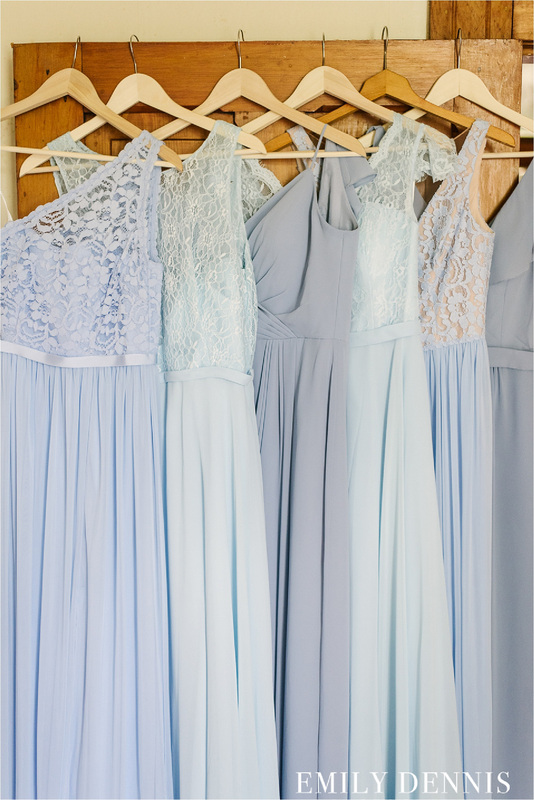 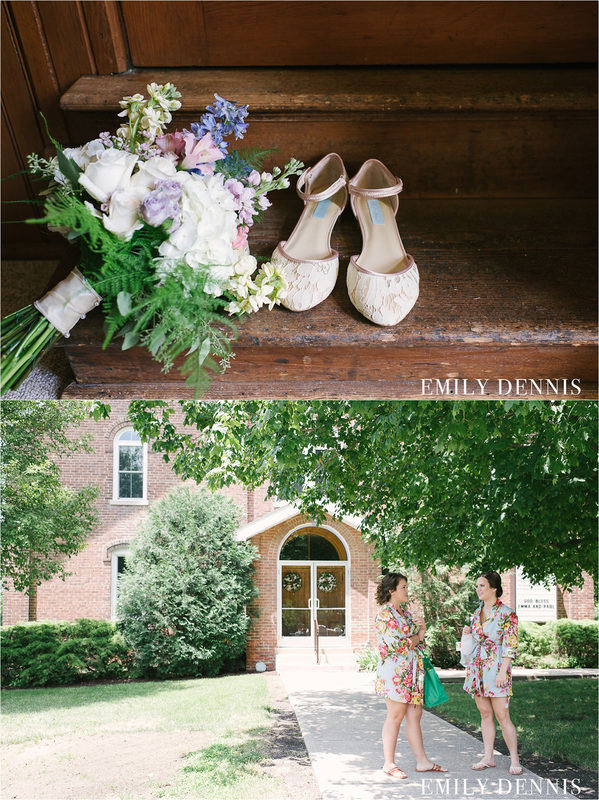 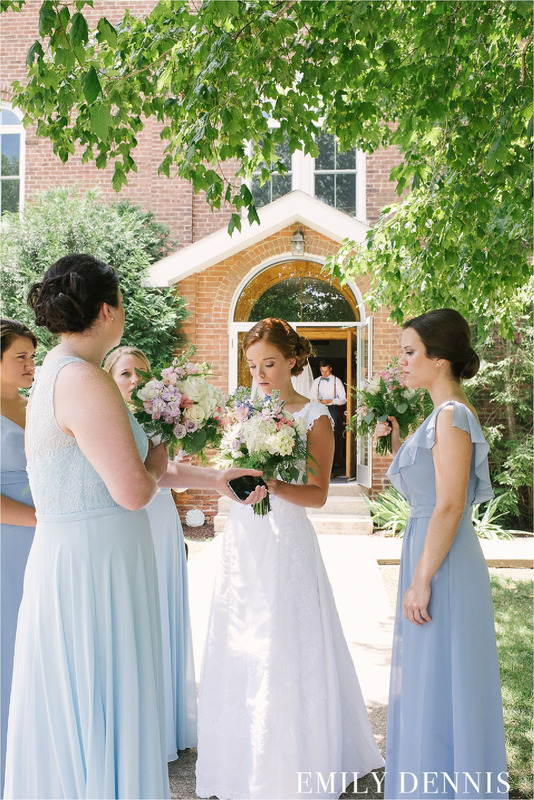 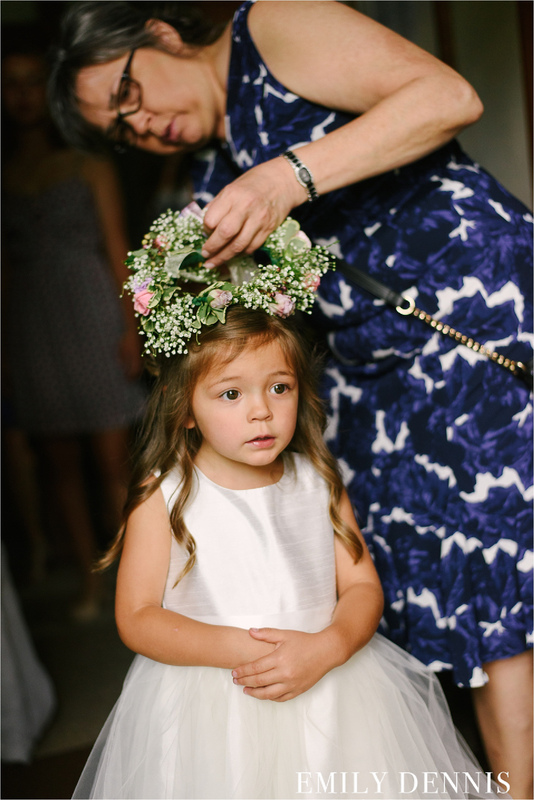 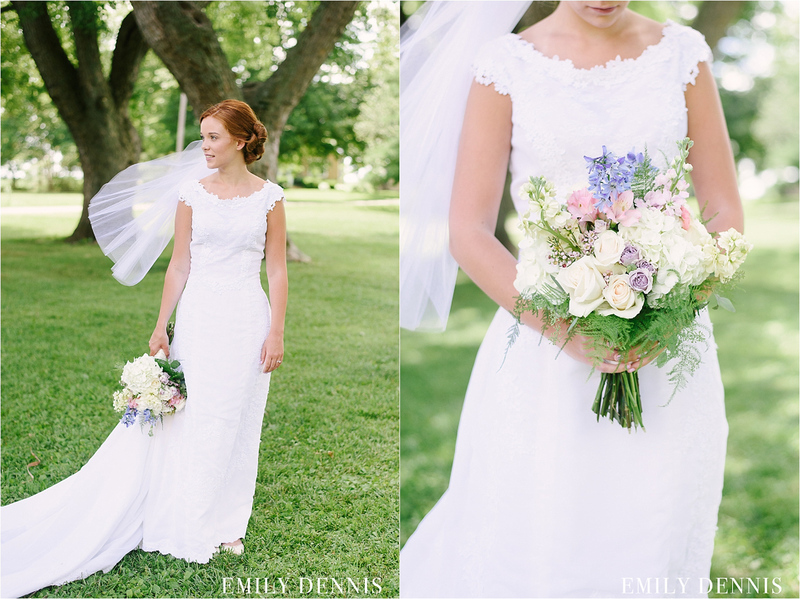 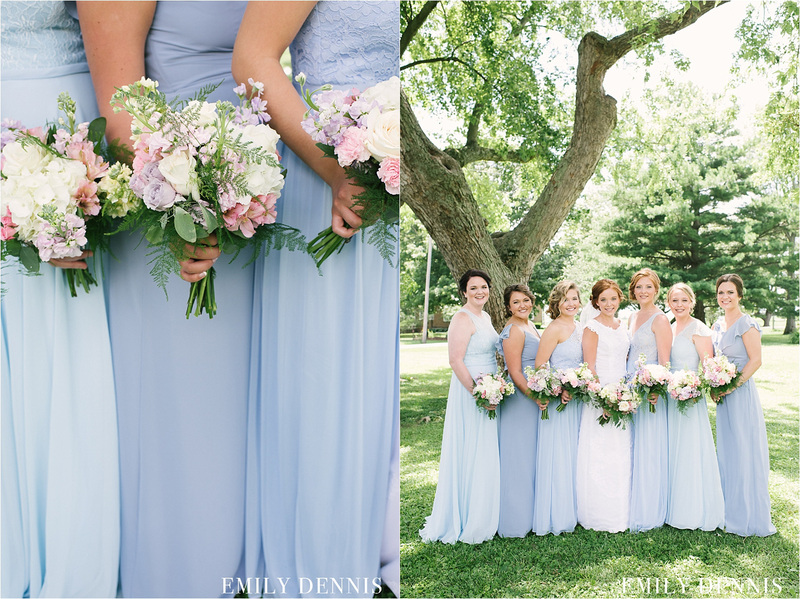 Soft colored non matchy dresses on the girls with wildflower bouquets. 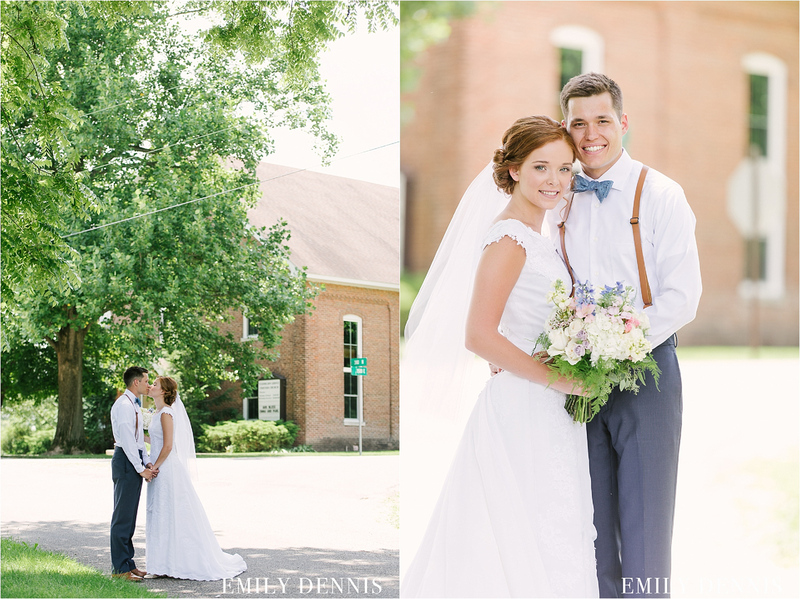 And of course the beautiful day!